Luxury Living Annio Welcome to the newly built Luxury Living Annio. 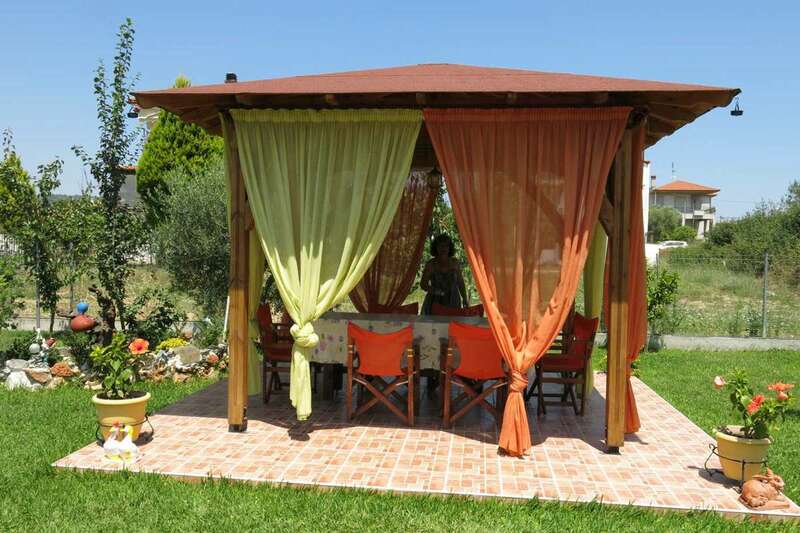 It is built 50 meters from the sea, in a quiet garden. All of the studios and apartments are spacious and can accommodate 2-4 people. They are decorated and furnished to cover the needs of our visitors. Welcome to the Studios Annio are right next to the center of Nikiti, about 100m. from the sea. 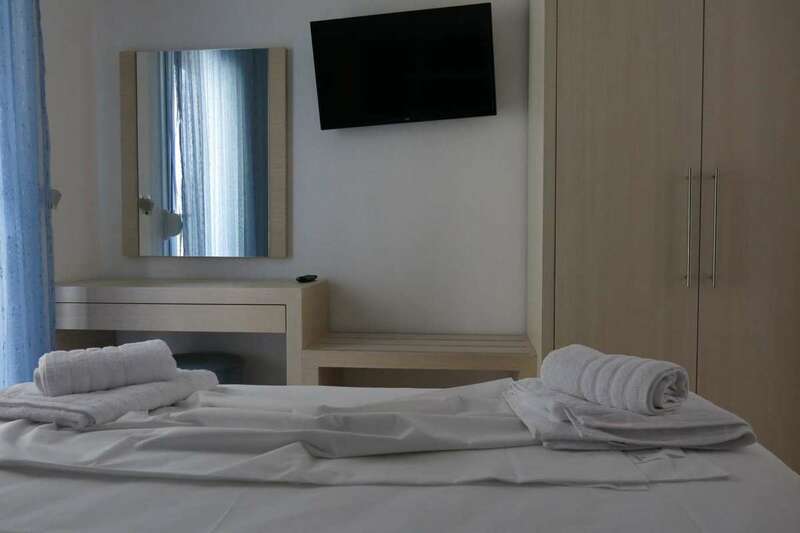 All studios can accommodate up to 4 persons, and an extra bed can be supplied on request. The Studios "Annio" complex gardens are laid to grass with flowers, and also have a kiosk with barbecue facility as well as a private parking area. 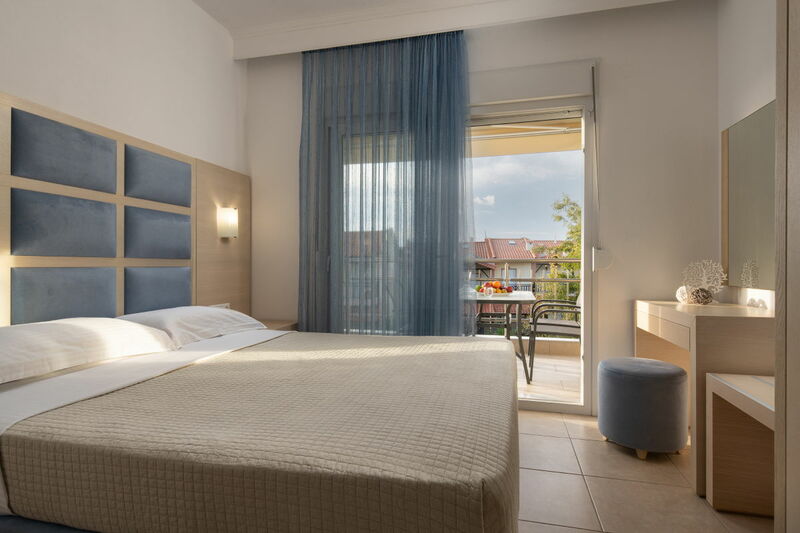 The Marietta's Apartment is located in the center of Nikiti, about 500m. from the sea. It can accommodate up to 5 persons. The newly built complex "LUXURY LIVING ANNIO" located in Agios Georgios, the most beautiful beach in the area, 50 meters from the sea. 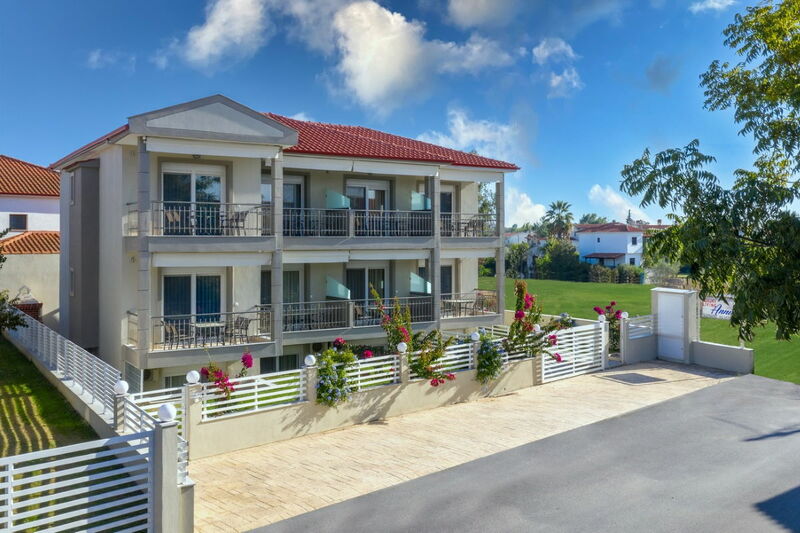 The modern "STUDIOS ANNIO" complex is located near the tourist center of Nikiti, 100 meters from the sandy, crystal clear beach. 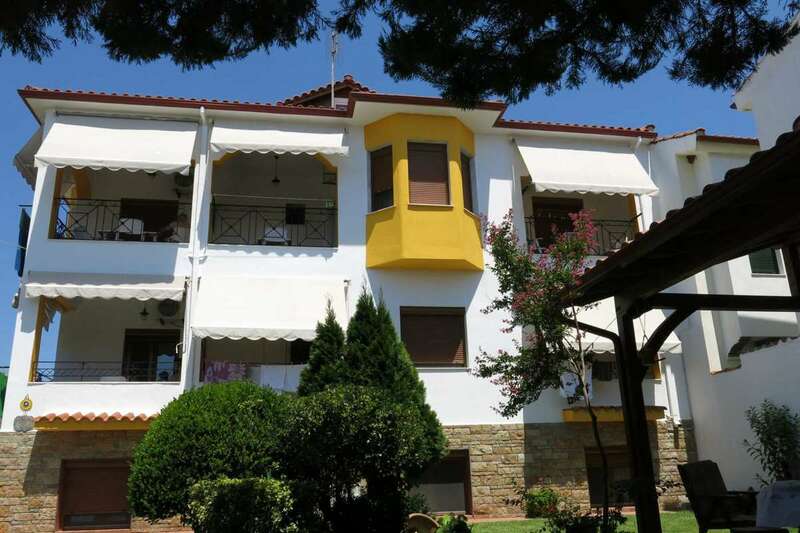 The family independent apartment "MARIETTA'S APARTMENT" located right in the center of Nikiti, 500 meters from the sea. 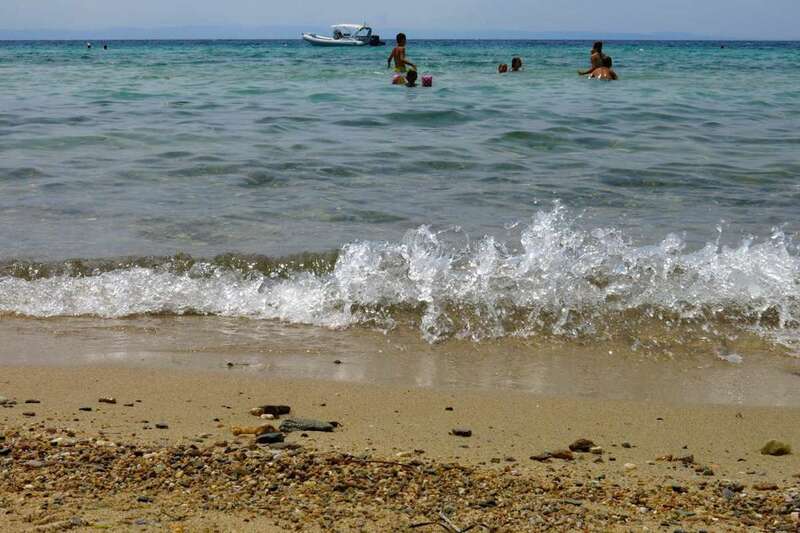 Book your next Halkidiki holiday at Studios "Annio" TODAY! Towel change each 5 days per person. Linen change each 5 days.